These are best buddies Wilbur and Milo. 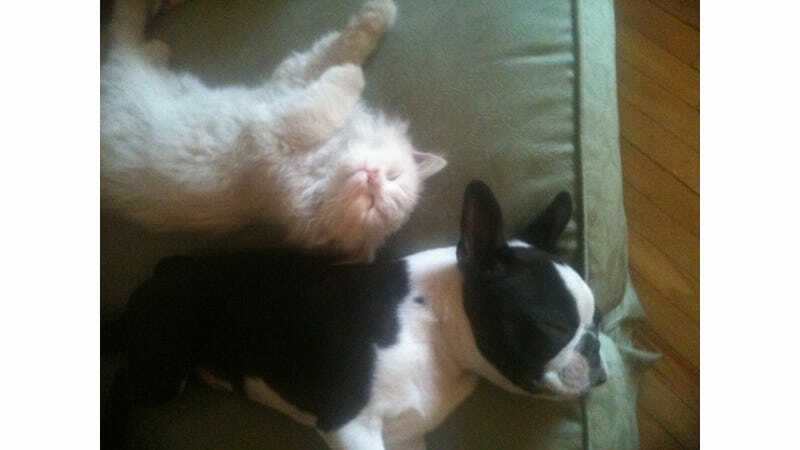 Wilbur is a Boston Terrier from southwestern France, Milo's a.... well, a fluffy white cat from Egypt, who loves Wilbur dearly. They enjoy treats, snoozin' and promoting cross-cultural, inter-species relations!